A new bill allowing a larger array of products to be created with infused CBD that will take the industry into the mainstream in a large way. This will make it a regularly studied ingredient to be better understood and propel CBD into more effective uses. An $867 billion farm bill that is expected to pass in Congress this week will fund food stamps, crop subsidies and – to the glee of many stock promoters – legalize industrial hemp, a source of the popular ingredient cannabidiol, or CBD. Brace yourself for CBD-infused drinks, foods, cosmetics and stocks. The most significant impact of the farm bill will be its funding of 10 more years of food stamps and farm subsidies. But hitching a ride on the farm bill wagon are provisions that decriminalize hemp. Technically speaking, hemp has been a controlled substance under federal law and could only be grown with a license under certain state research programs. The new farm bill will allow hemp cultivation without a license in every state. 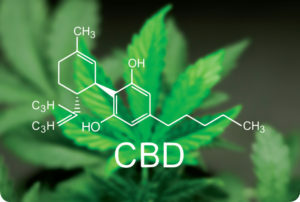 As a chemical, CBD is considered “non-psychoactive,” but it has soothing properties that led the U.S. Food & Drug Administration in June to approve a CBD-containing prescription drug from GW Pharmaceuticals (GWPH) for treating two rare seizure disorders that can be life-threatening in infants. Fans of CBD have also touted the stuff as a panacea for anxiety, pain, inflammation, and even cancer. Another benefit of the farm bill’s passage should be an increase in the scientific testing of cures claimed for CBD and the hundred-odd other cannabinoids in hemp and cannabis. With less legislation stifling the advancement of CBD, 2019 will surely be a huge year of innovation.